Presidential hopeful MK Binyamin Ben-Eliezer questioned on suspicion of receiving funds illegally. Presidential hopeful MK Binyamin Ben-Eliezer (Labor) was questioned on Friday by the Lahav 433 of the Israel Police. Ben-Eliezer was questioned on suspicion of receiving funds illegally. The questioning lasted for five hours, following which he was released. According to Channel 2 News, the MK is suspected of having received large sums of money from several factors, including from wealthy businessman Avraham Nanikashvili, who was recently questioned in connection with another case related to corruption at the Ashdod Port. Police suspect Ben-Eliezer may have acquired the funds necessary to purchase an apartment in an upscale complex in the city of Yafo (Jaffa) in exchange for providing Nanikashvili with certain unspecified services. Channel 10 News reported that Ben-Eliezer was asked about a 400,000 shekel deposit in his bank account which was made by Nanikashvili. 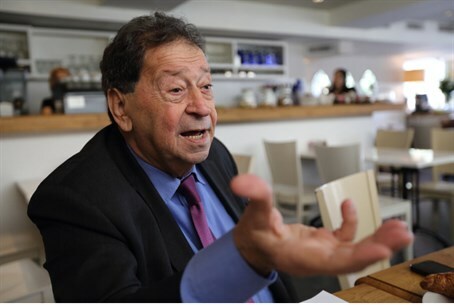 Ben-Eliezer's office denied the allegations against him and said the timing of the questioning, just four days before the presidential election, was "puzzling." "MK Ben-Eliezer arrived this morning, at 20 minutes' notice, to provide all the information requested of him. Ben-Eliezer asked the relevant bodies to complete the investigation as quickly as possible and to bring the truth to the public's attention,” said a statement from Ben-Eliezer’s office. Ben-Eliezer, who has been endorsed by his party for the election, was previously involved in some controversy, when an investigative television report revealed that he had frequented “exclusive and discreet” casinos in London and did so up until 2002, when he was serving as a top government minister. Ben-Eliezer’s media advisor said in response that the Labor MK has a large family in London and only visited these casinos in order to have dinner. He did not engage in gambling, stressed the advisor.